As a writer I am a member of a number of organisations, one of which is the Association of Christian Writers. One of our members is the inspiring Jonathan Bryan, a remarkable young man. The blurb from the back go his book gives a flavour of his story and why he felt inspired to write the book. Jonathan Bryan has severe cerebral palsy, a condition that makes him incapable of voluntary movement or speech. He was locked inside his own mind, aware of the outside world but unable to fully communicate with it until he found a way by using his eyes to laboriously choose individual letters, and through this make his thoughts known. 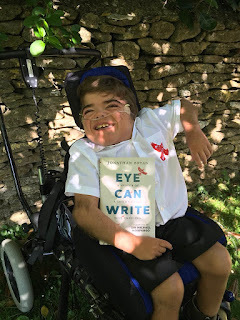 In Eye can Write, we read of his intense passion for life, his mischievous sense of fun, his hopes, his fears and what it's like to be him. 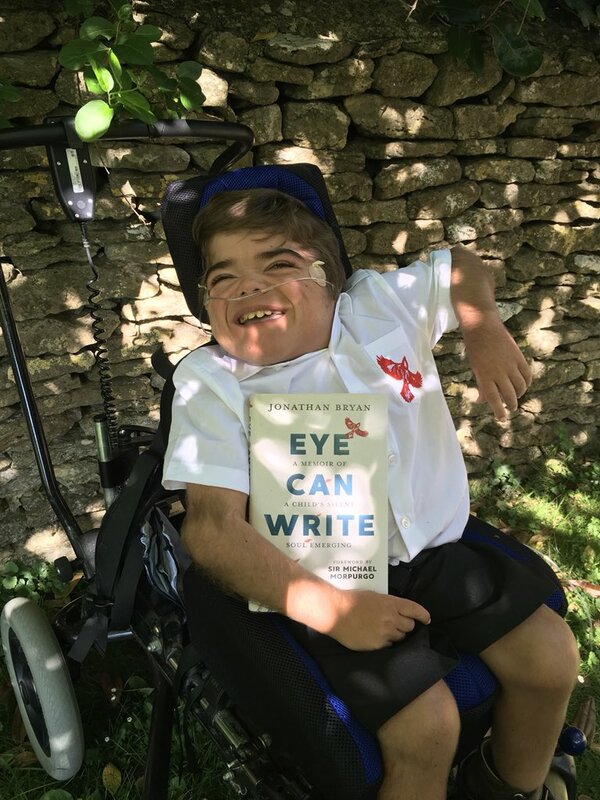 This is a powerful book from an incredible young writer whose writing ability defies age or physical disability - a truly inspirational figure. Was I was a nurse in. previous life, I also wanted to pick up on some of the issues surrounding his disability, and as. a Christian unpick his faith. How do you answer people who say: Why do you think God gave you this condition? Late last year I was asked this specific question, and I found the premise behind it deeply flawed and offensive. Why do people think God gives out illness? The image it paints is of a God who is dispassionate about the people he has created and who dollops illness out, as a scientists might experiment on mice. But, this is not my understanding or experience of God; God is good and illness was never part of His plan. My experience is that illness is also not a barrier to God’s plans for people, for He can transform every situation for good. Today is the 9th anniversary of your transplant. What would you say to someone unsure of signing the donor register? “Please reconsider”. For two years I was on the transplant list spending a morning three times a week on dialysis; it was a miserable half existence. My early memories are of debilitating sickness, hospital stays and feeling unwell. When I got my transplant, all that changed overnight. Transplants don’t just change lives, they give life. To the family who gave my kidney I am eternally grateful. Thank you, Jonathan, it has been a pleasure hosting you on the blog today. I wish you all the best with your future writing. I know we will be seeing more of you in the future. 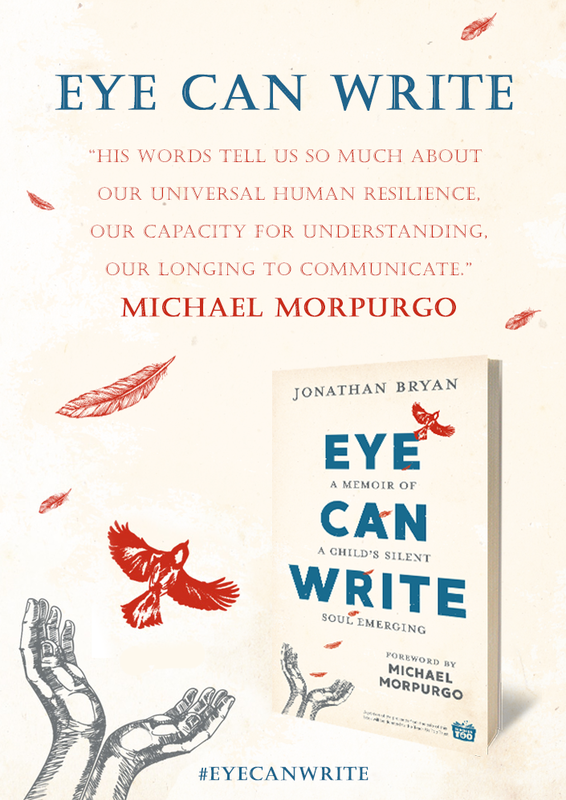 Eye Can Write is available from Amazon and all good bookshops. Author of the DI Shona McKenzie Mysteries. I love writing, reading and reviewing books. Also love God and love life. I think every minute in a day counts and I intend to live it to the full. rosbayeswriting | To Him who loves us and released us from our sins by His blood…. to Him be the glory and the dominion forever and ever.